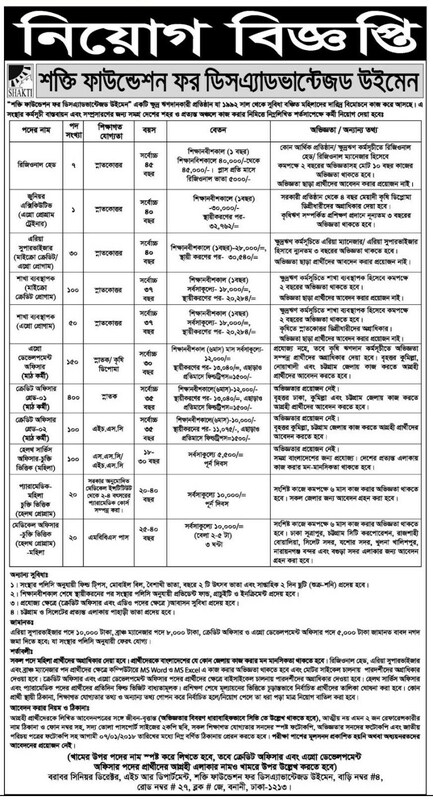 Shakti Foundation (NGO) has published a job circular on the national dailies. The who students who passed SSC, HSC, Graduate, Post Graduate can apply in different posts in these jobs. Applications are invited from the interested candidates. Circular Publication date: 08 December, 2017. Total number of posts: 878. Salary: 10,000 - 40,000/- taka.